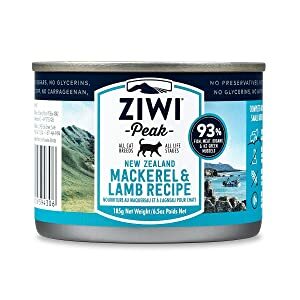 Best Wet Cat Food - 2019! ​With hundreds of cat food brands in existence pushing lots of 'unique formulas' (all claiming different health benefits), it can be really difficult for cat owners to know what to choose when it comes to selecting a wet cat food. ​Couple this with the fact that the pet food industry is awash with poor manufacturing processes, dubious ingredients and food recalls happening more than ever - it soon gets very complicated indeed! ​​How do you know that you are selecting the healthiest / best wet cat food for your furry friend? You could spend hours reviewing lists of ingredients and pet food labels, but you shouldn't have to (because we have already done it!). Below you will find a collection of tips for choosing the best wet cat food for your cat, collated from our research and experience. Surely All Cat Food is Healthy? Look for High Protein, Low Carbs! Say No to Artificial Preservatives! Be Aware of Ingredient Splitting! ​By now you should have a good grasp about what to look for when choosing a high-quality wet cat food. But, like all these things, it can be a little bit daunting when putting theory into practice! So, here are some of our top-rated wet cat food brands, that you may wish to consider. ​Cat Food Composition - we look at the actual percentage of protein, fat etc in each of the foods that we evaluate. We use Cat Info for carbohydrate figures, as an indication (not provided on the food label). Cat Food Ingredients - we look closely at the actual health benefits of the ingredients (e.g. real meat vs. grains vs. potatoes vs. fish), whether or not they are organic and where they are sourced from. Company/Brand - last but not least, we make sure that we focus time evaluating the company behind the food - brand ethics, manufacturing processes and facilities. ​Nature’s Variety is one of the leading producers of high-quality, all natural cat foods. 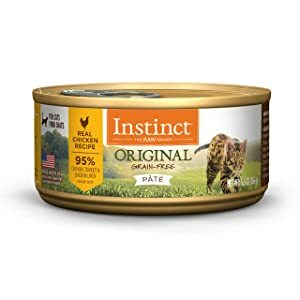 All of their cat food products in the Instinct line are designed to mimic the natural diet of wild cats, made with high-quality proteins plus gluten and grain-free ingredients. This chicken formula wet cat food contains 100% animal protein consisting of human-grade, homestyle chicken. Fortified with healthy nutrients, this formula is complete and balanced for cats in all life stages. On top of the fresh chicken, this formula also contains chelated minerals which have been chemically bonded to protein molecules, making them easier for your cat’s body to absorb and digest. Not only is this formula full of healthy nutrition, but it is loaded with natural flavor that your cat is sure to love. All it takes is one bite and your cat will be hooked. ​This grain-free chicken formula consists of 95% chicken, turkey and liver with 5% fresh vegetables, fruits and other wholesome ingredients. Not only is this formula loaded with healthy ingredients but it is free from artificial preservatives, colors, and flavors as well as corn, wheat, and soy ingredients. This wet food formula is loaded with high-quality animal proteins to help your cat maintain lean muscle mass along with plenty of omega fatty acids for healthy skin and coat. As an added bonus, this formula is supplemented with chelated minerals which have been bound to protein molecules, making them easier for your cat’s body to digest and absorb. Overall, this product provides complete and balanced nutrition for cats in all life stages and is our top best cat food! This means that all Hound & Gatos products are made with high-quality animal proteins, healthy fats, and grain-free carbohydrates in formulas designed to mimic the natural diet of wild cats. This chicken formula wet food is surprisingly simple in terms of ingredients (always a good thing! ), made with a single source of animal protein with no added carbohydrates. Simply put, this product provides for your cat’s nutritional needs without any fillers. ​The Weruva pet food company is an all-natural pet food company that produces all of its cat food products in human food facilities with high-quality ingredients to ensure fresh, wholesome, and natural nutrition for pets. All of their cat food formulas are made with real chicken, beef, or fish as the primary ingredient, supplemented with fresh vegetables and supplemental nutrients for balanced nutrition. 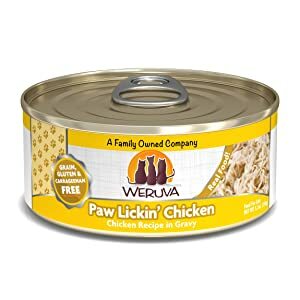 The Paw Lickin’ Chicken in Gravy formula is loaded with fresh, meaty chicken in a thick, flavorsome gravy that is sure to have your cat’s mouth watering. This grain-free chicken wet food recipe is made with only the highest quality ingredients. It is free from grains, GMOs, MSG, and carrageenan – plus it is made with chicken that is antibiotic-, hormone-, and cage-free. Simply put, this wet food formula contains only the best ingredients that your cat needs for a healthy, well-balanced diet. As an added bonus, this formula is low in fat and calories so you don’t have to worry about your cat gaining too much weight. A sure sign of a best cat food! 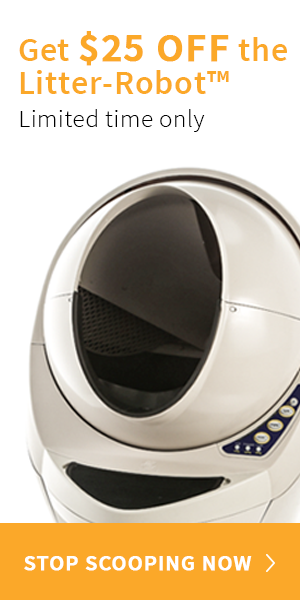 ​The ZiwiPeak pet food company is known for producing high-quality pet foods made with fresh, natural ingredients. including raw meat and organs with no artificial additives. Every formula is made with only the highest quality ingredients and sealed to preserve moisture and nutritional value. The Rabbit and Lamb formula is made with free-range, wild-caught rabbit and naturally raised lamb for a lean, protein-rich daily diet your cat is sure to enjoy. This wet cat food formula is made from 100% all-natural, fresh, raw meat with natural moisture for an unbeatable flavor and a healthy nutrient profile. Because this formula is made with novel protein sources it is a great option for cats that suffer from food allergies or digestive issues. This formula is rich in lean protein so it also makes a quality choice for cats that need help with weight management. Overall, this ZiwiPeak wet food formula offers the ideal balance of protein and fat to keep your cat healthy and satisfied. ​The Wild Calling pet food company is a family-owned business dedicated to providing high-quality pet foods for both dogs and cats. All Wild Calling formulas are made with high-quality animal proteins, supplemented with essential vitamins and minerals. Each formula contains up to 96% and is free from artificial ingredients, fillers, and emulsifiers. Simply put, this Rabbit Burrow wet food formula contains all of the nutrition your cat needs with nothing he/she doesn’t. 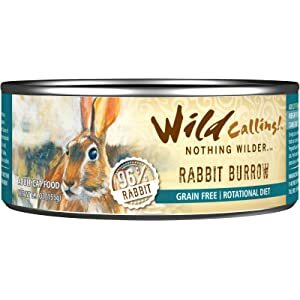 This formula is one of eight natural flavors that Wild Calling offers as part of their rotational diet for cats and it is made with natural ingredients that are all sourced here in the United States. This Rabbit Burrow wet cat food formula is made with fresh, all-natural rabbit as the first ingredient. The rabbit used in this formula is free-range and wild-caught so it is naturally lean. Not only is this formula rich in high-quality protein, but it is completely free from gluten, grains, and artificial additives. 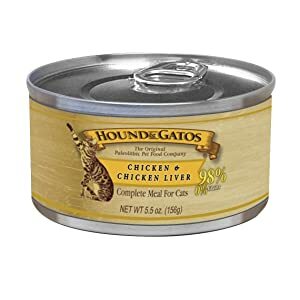 This wet food formula is fortified with chicken liver for added nutrition as well as a variety of vitamin and minerals supplements to support your cat’s whole body health. ​Read more : What Everybody Ought To Know About Best Kitten Foods? With RAW CAT FOOD, WET CAT FOOD and DRY CAT FOOD options available as well as so-called 'SCIENCE' diets - which is the best route to take for you and your cat? This will depend. Generally speaking choosing RAW and/or WET is better than DRY (for the reasons outlined below). That said, there are some food dry cat food products on the market and they can be extremely convenient. As such, they shouldn't be completely ruled out. Dry cat food is not so good for your cat and whilst vets push the "dental diet", they usually don't take into account the fact that dry food contains very high levels of carbohydrates (which cats cannot digest) and very low levels of water (5-10%). Ingredients are not fresh or natural and the food is processed at high heats which eradicates its biological value. It really is just convenient for owners. Our view is that dry cat food is fine as long as it is well-selected and used in rotation with other wet/raw cat food. Whilst wet food still undergoes a degree of processing, it still undergoes much less than dry food does. Canned foods keep much of their biological value, which is great for cats and their healthy. Canned foods also contain a higher proportion of water (~70%+) which is important for cats as they have a very low thirst drive. The key to a good canned food is finding one that contains plenty of protein (as the first ingredient) has less than 10% carbs and does not contain any corn, soy etc. Widely accepted as the best diet for cats as it represents what cats would naturally eat in the wild. Cats should be out killing small prey which would give them everything they need to live a healthy life. That said, feeding raw can be expensive and it can take some time to transition your cat onto a raw cat food diet (particularly if they have been eating kibble for some time). That said, the health benefits outweigh the transition time. Some brands offer pre-portioned, freeze dried options, which makes feeding a raw cat food diet *much more simple*. No. As a cat owner, you should look past all of the "natural" jargon and luring marketing messages used on packaging to entice customers. In the US in particular, there is very still little regulation over commercial pet food quality. The AAFCO (the "Association of American Feed Control Officials") has helped to bring minimum nutritional requirements to the table, but "minimum" is not where we should be setting the baseline when it comes to feeding our feline friends. ​Keep in mind that the ingredients that appear at the top of the list on a cat food label are the ones that are present in the highest volume. This is where you want to see things like fresh meat or meat meals like deboned chicken or salmon meal. ​After high-quality animal proteins you should look for healthy animal fats like chicken fat, salmon oil, or fatty cuts of fish like salmon and tuna. Remember, cats do not have any specific requirement for carbohydrates but you should look for some digestible source of carbohydrate to provide dietary fiber and healthy nutrients. Good examples include brown rice and oatmeal as well as gluten-free and grain-free carbohydrates like tapioca and fresh fruits and vegetables. Just as important as the ingredients that ARE included in a cat food product are the ingredients that are NOT included. Look for a commercial cat food product that is free from corn, wheat, and soy ingredients. Not only are these some of the most common cat food allergens, but they are also low in nutritional value. Ingredients like corn gluten meal and wheat flour are the kind of ingredients pet food manufacturers use to bulk up their products without adding more nutritional value – they are money-savers for the company. You should also keep an eye out for artificial sweeteners, preservatives, flavors, and colors. If the ingredients list is full of ingredients you can’t pronounce or identify it is best to move on to another option. It is also important to look for ingredients that seem to be repeating themselves. For example, you might find that a cat food label lists both corn meal and corn flour. When pet food manufacturers divide an ingredient into smaller portions it is called “splitting” and it can be deceiving for pet food owners. Both corn meal and corn flour can be lumped into one ingredient labeled as corn but, if kept together, the corn would appear higher on the ingredients list – maybe even higher than the first meat ingredient. Ingredient splitting is a tactic pet food manufacturers use to make their products look like they contain more meat than they actually do. ​Protein should be the first ingredient on the label. Ingredients are listed by weight - the more protein the better. Simple meat-based ingredients are the way forward. Cats are carnivores, remember this! Cat foods should not contain artificial preservatives, corn, soy or other fillers or estrogenics. Cats have no dietary need for carbohydrates, the food should be grain-free (grain is not natural to digest) and have a very low % of carbs / starch (too higher % can lead to weight gain and other health issues). There should be no BPA in the lining of the cat food can. There should be no carrageenan in the food (this can be very harmful to cats). Ideally manufacturing facilities should be company owned, certified and based in EU / North America. Food should have a relatively high moisture content, cats need as much water as possible as they have a low thirst drive. Without regular water, cats can be prone to liver failure. ​Before we get too far, it is probably best that we explain the different types of wet cat food available. Different cats will have different preferences when it comes to aroma, temperature as well as texture. Each different type of wet cat food has a slightly different texture and through some trial and error, you should be able to find the best one for your cat. Just like human paté; it is packed into cans and thus can be a little more solid compared to flaked or shredded foods. Consists of flaked or shredded protein (usually fish) combined with a little water or broth. A bit like canned tuna. ​Usually consists of meat thickened in a gravy which can contain a high ratio of carbs vs. protein. ​It is natural for cats to be a little troublesome when it comes to swapping out a diet that they have been used to for some time. The fact of the matter is, the more you rotate a cat’s diet the less likely they are to fuss about a diet change in future. So, you are doing the right thing in helping them now! To avoid upsetting your cat’s stomach you need to introduce the new wet cat food slowly – the best way to do this is to mix the two together. Start off by mixing together ¾ of the old food with ¼ of the new food for both feedings in one day. Repeat this process the second day as long as your cat is still eating the food and isn’t displaying negative side effects. On the third day, increase the ratio of new food to 50%. Again, if your cat accepts the wet cat food and doesn’t have any problems, increase the ratio to 75% new food and 25% old food for the next day or two. As long as there are no problems you should be able to start feeding your cat the new food on its own by the end of the week. ​If you decide to switch your cat over from dry food to wet food, you are likely to run into a number of challenges. Cats are creatures of habit so the change in texture alone could be a big deal for your cat. ​One way you might try easing your cat through the transition is to sprinkle some of your cat’s old kibble on top of the wet food at feeding time. It may also help if you crush or grind some kibble into powder and stir it into the wet food before offering it to your cat – this will help your cat get used to the new flavor without changing things too quickly. If your cat still has trouble accepting the wet food, try warming it up a little bit to make it more palatable. No matter what your reasons are for switching your cat to a best cat food, you need to make the transition slowly to avoid problems. To ensure success, make sure you still have enough of your old cat food left when you start to make the transition so you can do it right. ​Did anything above not make sense? How has your experience been? We'd love to hear, feel free to leave comments below. Previous articleCan Cats Eat Bananas? What Are The Best Foods For Your Yorkie Puppies?